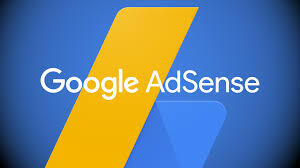 Google Adsense is undoubtedly the most sought-after ad program for monetizing blogs and websites. The frustrating part is that getting approved by Adsense has become very difficult that website owners have to fall heads over heels to lay their hands on one. While the good ones are dutifully following Adsense guidelines to see that their sites are approved, the scavengers on the other hand are working tirelessly, seeking for whom to devour his Adsense account. It's no news that Adsense accounts are being hacked on a daily basis. The most common way your Adsense account can be hijacked is by getting hold of the email associated with your account. Once your email account is hacked, your Adsense account is compromised . All the hacker has to do is to access your Adsense account and make himself the sole Admin of the site. Some hackers come in the form of offering free service to help you troubleshoot and optimize your blog. The unsuspecting victim divulges his site's admin details which may be associated to his Adsense account and gets booted out! A friend of mine was a victim of Adsense hack. Luckily he was able to recover it. In this article, I will be showing you the method he used to recover his account. If your account has been hacked, the most natural thing to do is to panic especially when you have some money in it. Do not panic as you stand a 99% chance of recovering the account if you can prove ownership of the account. The first thing you have to do is to report to google and fill the account login issuesform here . You don't need to say much; Just tell them your name which must correspond with the name on the Adsense account, your Pub-ID (not compulsory ), the website URL where your ad code is placed, your country and a government issued ID card (Not compulsory). It is recommended that in order to hasten the reinstatement of your account, you have to provide your Pub-ID and submit your Identity proof. If you have forgotten your Pub-ID, you can check your adsense gadget on your blog or simply view your blog's source code and using CTRL F to search for Pub-ID. Resolution is very fast and in most cases, takes less than 24 hours. Depending on the volume of application google is handling, it could take longer to resolve. If you found this article helpful, I'd love to hear from you! Kindly share with your friends!